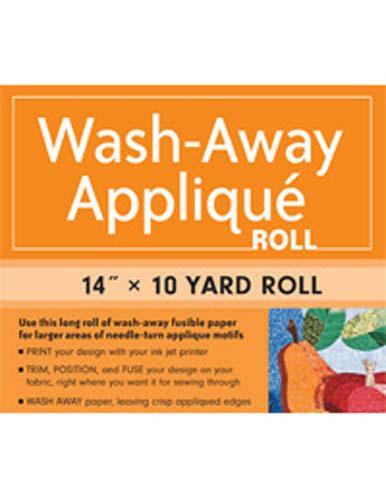 This long roll of fusible, watersoluble paper is perfect for larger areas of needleturn applique motifs. Trim, fuse to fabric, stitch the element in place... and the paper left inside will dissolve away in 12 washings. Appliqued edges stay crisp without needing to slice into the quilt to remove papers. 14" x 10 yard roll. Available: 11192012.